Teachers within the American education system have the ability to provide future generations with the tools they need to become active members in our democracy. Whether this means volunteering to assist those in need, running for office and serving the country and its citizens, or simply exercising the right to vote, informed and exceptional educators improve democracy by aiding in the mental and social development of students. The principles of American democracy stated in the Constitution of the United States align with the principles of education in our country, which include embracing diverse perspectives, cultivating a sense of community, and striving for excellence. Students of all ages are impressionable and eager to learn. They take their cues from people they trust and admire. Teachers are able to influence the way students perceive and adjust to the society in which they live. By embracing the differences of diverse cultures, students are opened up to the many ethnic, linguistic, and historical aspects of the people and communities that make up this country. Teachers can begin by using themselves as examples, explaining their family background and ethnic history to describe their own unique experiences. They can then encourage students to embrace diversity and learn from the varying perspectives of their classmates. Understanding diverse global perspectives helps to break down barriers that result from fear of the unknown and prepares students for their entry into the real world, where they will likely encounter social and professional challenges. Teachers who incorporate a range of cultural perspectives in their curricula aid in the social growth and maturity of their students. By including texts and sources that encompass a myriad of backgrounds, students gain insight into historical and cultural experiences. Some of these experiences are new and foreign to them, while others are relatable and can be used to establish their own cultural voice. The United States is a melting pot where people come from all over the world to take part in America’s democracy, and teachers who provide a learning experience laden with multiple views of immigration and historical events develop compassion and empathy in their students. Students who are sensitive to the needs and hardships of other cultures will have a deeper understanding of the issues that affect our nation. One of the most essential life skills that a teacher bestows on his or her students is participation. In the American education system, teachers employ active learning techniques to help students stay involved in the learning process. Forming groups allows students to collaborate, teach each other, and work together according to their assigned roles. This builds a sense of pride and responsibility, as they recognize that their insight is a valuable asset to their team. There are many opportunities for students to work together and strengthen the necessary skills for building effective teams, such as communication, honesty, goal setting, problem solving, and motivating each other. 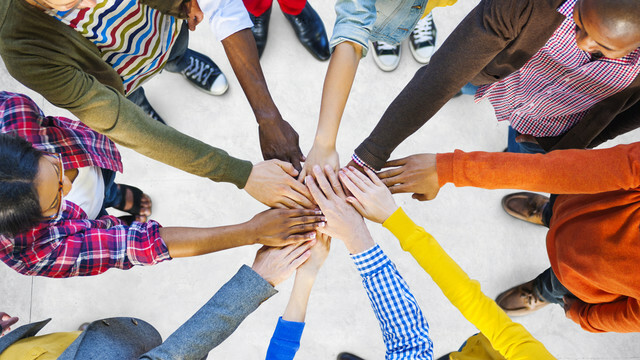 A foundation of teamwork is critical for students as they develop into adulthood, enter the workforce, and participate with others as active and responsible democratic citizens. Getting students acquainted with the democratic process at an early age can benefit students throughout their lives. Teachers do this in a variety of ways that require students to take an active role in the learning and democratic decision-making process. Mock government activities and programs give students opportunities to take on specific government roles as they participate in debates, elections, and the legislative process to experience firsthand how politics and democracy affect their lives. Teachers can set up classroom debates about current national issues, have students research local issues in the newspaper, or organize a mock democratic process for discussing issues that affect students directly at their school. In addition to giving students a chance to experience how the democracy operates, teachers are also keeping their class informed on pressing issues that affect their community. Another way teachers get students to grasp the needs of their community is by arranging volunteer opportunities that enable students to get out of the classroom and see where democracy in action can help those who need it most. The work that teachers do extends far beyond the classroom. The future of our democracy depends upon knowledgeable and qualified educators helping students to become responsible citizens. The values students learn in the classroom will stay with them throughout the years and benefit them as thriving members of society.